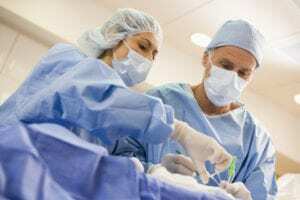 Male Pattern Baldness – Androgenetic Alopecia (Androgen-related hair loss) Permanent hair-loss caused by the action of androgens on genetically susceptible follicles. Androgenetic alopecia (male pattern baldness or male pattern hair loss is a non-reversible genetically determined hair loss disease. The presence of Androgen is necessary for its progression. What are your options? – the question you need to ask yourself is how important is your hair?. There are a variety of options for you to consider. Shave it off! – The cheapest option is to shave off you hair. Remember over 90% of men suffer from Male pattern Baldness. highly technical method of transferring donor hair to those areas void of hair. Giving you back the hair you desire. However, this will be dependant on the amount of donor hair, your age, severity and coverage needed. You can visit our hair surgery page by clicking the link. Or you can give us a ring or arrange a free consultation. Non Surgical Hair Replacement – This is a very simple way of giving you the hair style that you have always wanted. Thickness length and style are not a problem. This in simple form is a custom made hair piece. Colour will be matched perfectly with the existing colour and the hair will be blended into the existing hair making this form of hair replacement virtually undetectable. The word Toupee often scares people. But if there was a way of giving you the hair that you have always wanted would you look into it? Why don’t you give us a call or arrange a free consultation. You may just be pleasantly surprised. i) dominant – a single gene of inheritance. ii) polygenic – multi gene inheritance. 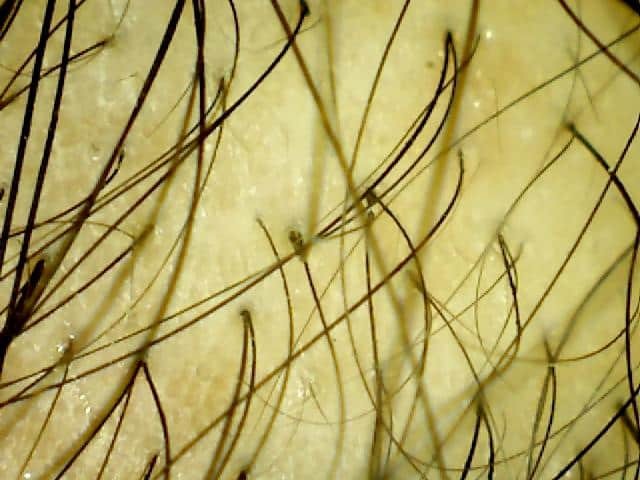 factors in a process of progressive hair follicle miniaturisation and reduction in the anagen (hair growing) phase. Associated with the conversion of androgen testosterone into di-hydro-testosterone (DHT) by the 5 alpha reductase enzyme. Hair characteristics may change. The Norwood-Hamilton Scale (below) is used to describe the level of development of male pattern baldness (androgenetic alopecia) which may or may not travel through each of these stages, the development may stop at any time. 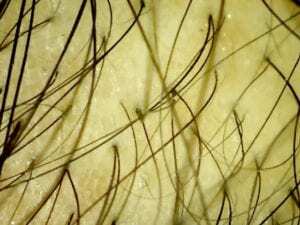 Follicles miniaturise to produce vellus hairs. Caucasoids are more susceptibility than Afroids or Mongoloids. Eunuchs (post-pubertal castrated males) do not usually suffer Androgenetic Alopecia however recent findings suggest that some will have suffered this due to the mediation into dihydrotestosterone of an follicle residing enzyme known as 3-alpha-hydroxy-steroid-dehydrogenases. Minoxidil – simple to purchase from a pharmacy. 5% is the suggested dose for men. However, side affects may be apparent. Finasteride (Propecia) – 5 alpha reductase inhibitors. Considered effective in many predisposed men. This is a prescribed medication (not normally from GP) obtained via private clinics. Research is currently considering Spironolactone as a topical 5-alpha-reductase inhibitor.